Drivers often forget that gas is one of the most lucrative and competitive markets in existence. This is evident each and every time you pass by an intersection with two competing gas stations, where one marks the prices slightly lower to secure your business. The experts at MyDriverLicenses.org encourage drivers to continue using regular gas for non-luxury vehicles, instead of upgrading to a higher grade. Are you considering switching to a more expensive grade of gas? If so, take a look at the below before making that type of investment. Whether you are a vehicle owner who works from home and only commutes as necessary or your office is an hour from your house, you undoubtedly stop at the gas pump – be it once a month or twice a week. The team at MyDriverLicenses.org reminds drivers that sticking to regular gasoline for regular car types can save them upwards of 20 cents per gallon, in comparison to mid-grade and premium gas prices. If you do the math, this can save you from $50 to $100 annually on gas. Aren’t there plenty of other things you’d like to do with an extra $100 in your pocket? 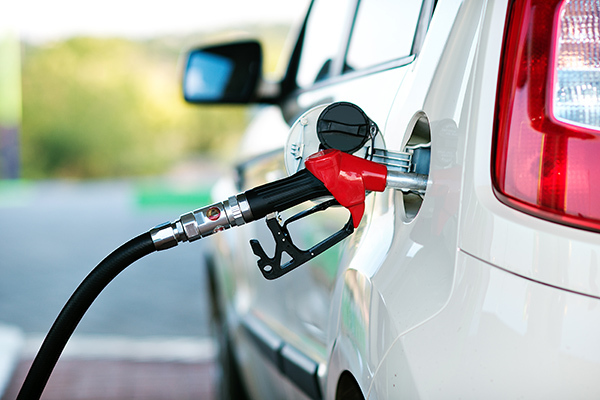 According to the team at MyDriversLicenses.org, there is virtually no benefit for pumping higher-octane gasoline than necessary into your vehicle. That’s right, folks; there is absolutely zero benefit to using a higher-grade fuel if your car doesn’t call for it. Contrary to popular belief, using mid-grade gas on a car whose manual explains regular fuel is just fine is like throwing money in the gas station trash can. This upgrade in gas will not earn you better gas mileage, despite what you have heard. Did you know that gas grades differ from state to state? Octane ratings fluctuate based on where you live, and you might notice this very fact if you often embark on road trips that enter and exit many states. For example, in the states of Utah, New Mexico and Colorado, the gas pumps offer an octane rating of 85, due to the altitude, so drivers in these states enjoy much cheaper regular gas rates than drivers in other states. The experts at MyDriverLicenses.org urge all vehicle leasers to review their vehicle manuals prior to pumping gas into their tanks. Make sure to read the fine print that states the minimum octane level required to keep the car maintained. If you are leasing a car and the manual outright says that you can fill your tank with 85, 86 or 87 octane grades, then it is unnecessary to fill your tank with premium 93 octane in favor of your lease.